It said the attack was “people’s reply” to the “expansionist policies” of the Modi Govt. at the Centre and Raman Singh Govt. in Chhattisgarh. PALAKKAD: A group of suspected Maoists attacked a forest office at Attappadi and two restaurants at Chandranagar in Palakkad district of Kerala in early morning on Monday. In another incident, a forest outpost at Vellamunda in Wayanad was also attacked by the alleged ultras. No casualty was reported. 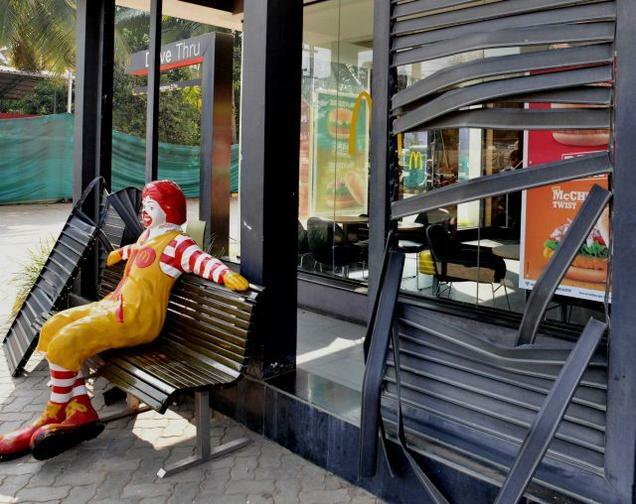 Sources said the outlets of KFC and McDonald on the Palakkad – Coimbatore national highway were attacked in the wee hours. Anti-US pamphlets and posters calling for armed revolution were found on the spot. 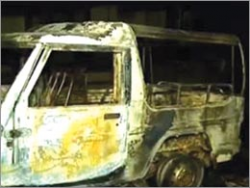 According to sources, a group of 19 people stormed into the building which houses the Silent Valley office around 1.30 AM and set fire to a jeep of the forest officials parked outside the complex. Furniture and other documents inside the office were destroyed. The gang had sped away before the forest officials and police arrived. Walkie talkie, Camera and other valuables were found missing from the office. Police have recovered pro-Maoist posters from the spot. Thiruvananthapuram: Suspected Maoists today attacked offices of forest department in Palakkad and Waynad districts in Kerala in the wee hours. No one was hurt in both the incidents. Billboards and posters allegedly by Maoists were found in both the places, police said. A forest range office at Mukkala in the Attapady region of Palakkad district, one of the main tribal hamlets in the state, was attacked and some of the furniture in the office damaged. In the other incident, an office of “Vana Samrakshana Samithi” was vandalised by the outlawed activists at Kunhom at Vellamunda forest area in Waynad district. UDHAGAMANDALAM: An alert has been sounded at all check posts in Nilgiris district following the suspected Maoist attacks in Palakkad and Wayanad districts of Kerala, bordering the state, early today, police said. 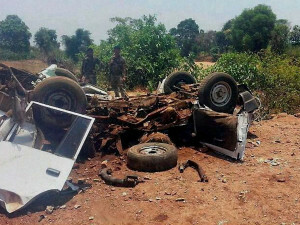 For 15 days, since November 15, more than 2,000 troops from six battalions of the Central Reserve Police Force (CRPF) had been venturing out to conduct SADO — Search and Destroy Operation(s) — in Chhattisgarh’s Sukma district. 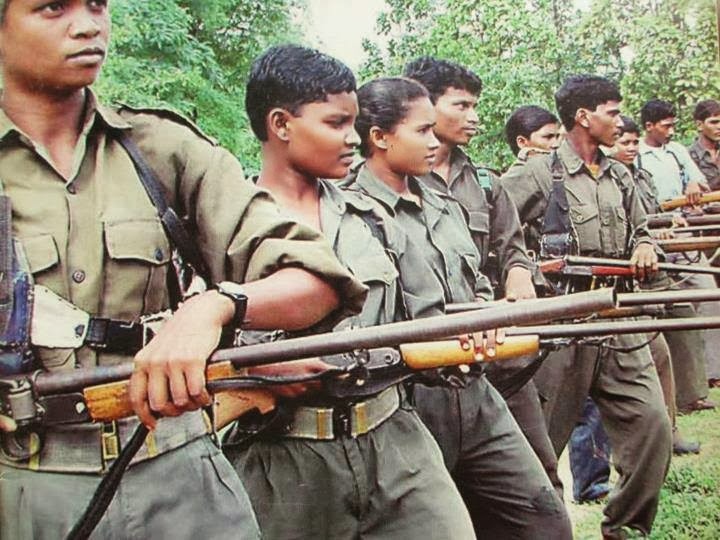 The troops, roughly divided into ten groups, would traverse villages that are considered Maoist strongholds: Polampalli, Kankerlanka, Puswada, Jaggawaram, Korapad, Kanrajgubbal, Rangaiguda, Degalmetta, Ramaram, Pidmel, and Chintagufa. Since they had no intelligence inputs, the troops were asked to engage Maoists if they ever came in contact. 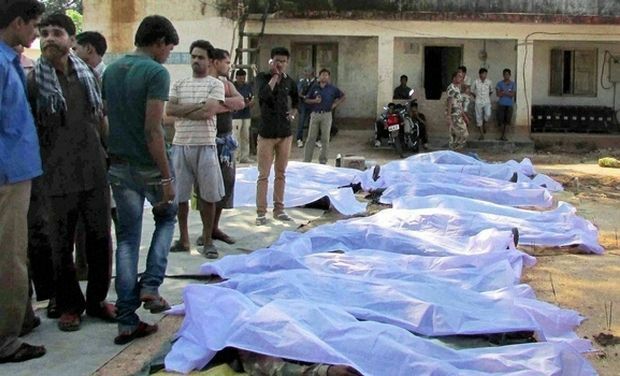 There is a very little possibility of such chance encounters unless the Maoists themselves want to engage the CRPF. In their strongholds, the Maoists have no dearth of human intelligence through their sympathisers. In fact, several arrested Maoists have revealed to the security agencies how their squads had passed less than 100 metres away from CRPF troops without being detected. The CRPF has, in the last few months, tried desperately to win over the local population in these areas through civic action programmes. Their men distribute items like transistors, cycles, and saris among the people. But in Maoist strongholds such as in Sukma, many adivasis do not accept them. On Independence Day this year, some of these items were handed over forcibly to adivasis in several villages. But, according to a CRPF officer, many of them threw away these items at the periphery of the village and ran away. KOLKATA: Several Maoist posters, some threatening an armed movement against the Birlas, were put up outside the Hind Motor plant gate on Thursday. The car factory has been shut since July. The slogans in Bengali on one of the posters said, “Aamra Birla Group ke dekhe nebo”. Another poster bore a slogan saying, “You can’t shut the factory and cozy up to the establishment.” Yet another threatened an armed movement against the Birlas. All the posters bore the name of CPI (Maoists) as the issuer. Residents of houses around the factory and a slum nearby spotted the posters in the morning and informed Uttarpara police station. IC Uttarpara Arijit Dasgupta led a team to the factory and took away the posters. A probe is on into how the posters appeared outside the plant gate. In the evening, INTTUC organized a rally of Hind Motor workers demanding reopening of the car factory. Hind Motor authorities refused to comment on the posters. KOCHI: Police tapping phones of Maoists and their supporters is well known. But, Maoists tapping the phone of police and acknowledging the same is unusual. 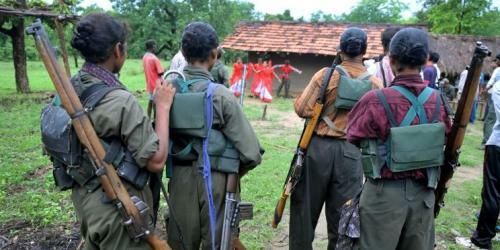 Kattuthee (Wildfire) a clandestine information bulletin of the alleged armed squads of CPI (Maoist) operating in the Western Ghats region including Kerala has published a transcript of a conversation between a police official in Wayanad and private money lender. The bulletin claimed that the technical wing of the Kabani Dalam had tapped the phone. 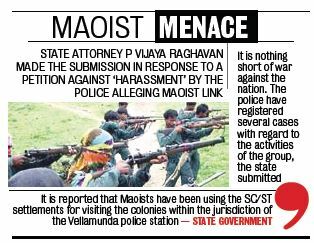 Incidentally, the conversation is that of a police official of Vellamunda police station in Wayanad, the scene of exchange of fire between ultras and a team of anti-Maoist commandos of the police few days ago. The conversation published with the headline ‘Operation Kubera: A Fraud’, the police official was heard saying to the money lender identified as Nassar that there was an order to conduct a raid against him. Nassar, then asked the police official whether he should talk to the higher ups in police. But the official told the money lender not to do it and said that the higher ups had directed him to keep some papers with him. On asked whether it would create a problem, the official said nothing to worry in the long run. The Bulletin asked all people to unite for the elimination of the private money lenders known popularly as ‘Blade Mafia’. It had also asked people to report complaints to the Maoist Dalam or activists.